Don't waste your time. This location has moved. 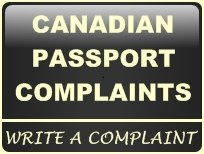 Visit the service Canada website for official information. moved. go to the government of canada website. This is at the corner of Petro Canada and Milestone Restaurant. Thank you all for being so considerate for others! I went to the passport office today - April 6th, 2015. it's not located where milestones is as stated above - it's across the street from there. The passport office is actually on the south east corner of Green Lane and Yonge Streets (in the same parking lot as the movie Theatre). does anyone really know where it is ?? do they have a fast pick up if you need it, 2 or 3 days?